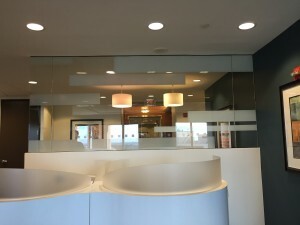 Fairfax Va. – Custom Window Film used to decorate Glass Walls in commercial office!!! Lexington Park Md. – TCCSMD (Southern Md.) adds decorative window film!!!!! Gaithersburg Md. 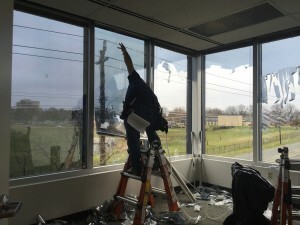 office building removes old window tint and replaces with new LOW E window film!!!! Waldorf Md. 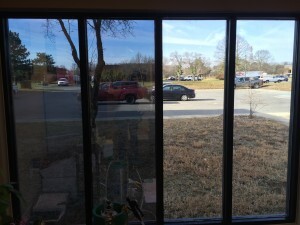 Low E Window Film for Energy Savings and Privacy!!!!! Huntingtown Md. 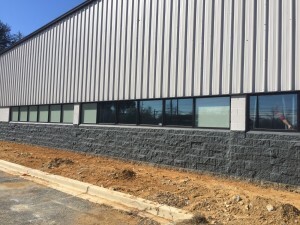 Tractor Supply adds Custom Window Film to improve exterior appearance of New Store!!! Gaithersburg Md. 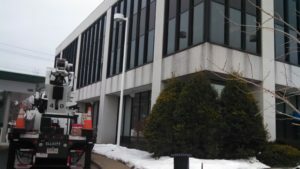 Window Film Installation generates 50% Pepco Rebate for Commercial Building Owner!!! 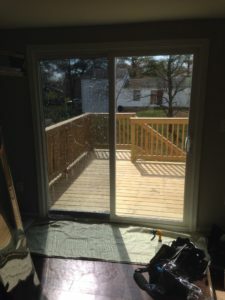 Alexandria Va. homeowner selects window tinting to reduce glare and add privacy!!!! Bethesda Md. 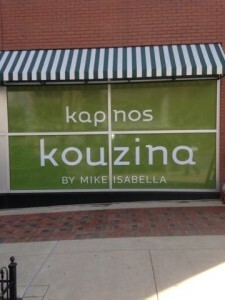 Restaurant, Kapnos Kouzina – Adds custom exterior printed window film!!!! Annapolis Md. 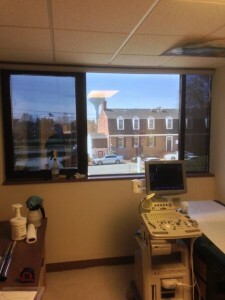 medical office reduces heat and glare with Window Tint!!! 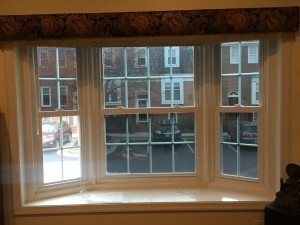 Xlnt Tint Window Tinting installs tinted security film on sliders for Alexandria Va. Homeowner.